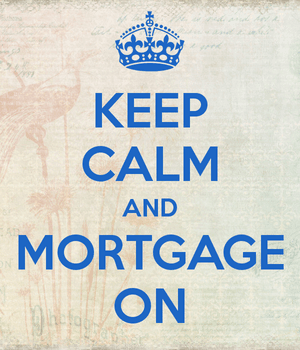 Here’s an interesting, though not surprising data point from Zillow. It turns out properties located next to Starbucks locations are bigger winners in terms of home price appreciation. The company found this out by comparing a database of Starbucks locations with its own housing data. They even paid Starbucks corporate a visit to get the skinny, or perhaps venti, on how it selects its lucrative locations. Specifically, Zillow analyzed historical home price appreciation in areas located within a quarter of a mile of a Starbucks coffee shop. What they discovered was that homes that are now near a Starbucks would have sold for $137,000 back in 1997, while those not near a Starbucks would have only sold for $102,000, on average. Okay, so homes not near a Starbucks actually started out considerably cheaper. But wait, what happened since then. Well, the homes located next to Starbucks appreciated 96% to $269,000, while the Starbucks-neglected homes only increased 65% to $168,000. So it sounds like the rich got richer. Zillow also debunked the idea that it could just be a coffeehouse nearby that’s driving property values higher. They did so by looking at homes next to Starbucks vs. homes next to a Dunkin’ Donuts location. 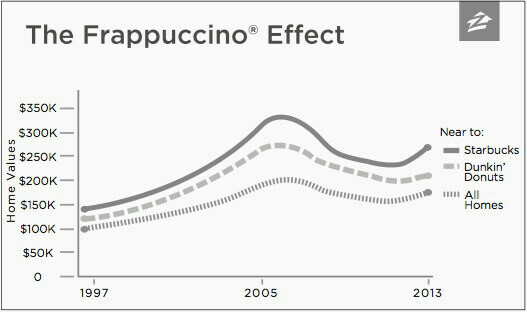 Both actually saw stronger appreciation than the norm, but Starbucks homes increased 96%, while Dunkin’ homes only moved 80% higher since 1997. Overall, all properties in the U.S. increased just 65% from 1997 to 2013. Homes next to a Starbucks location also recovered faster than other homes, perhaps a testament to the all-knowing location team at Starbucks corporate. Apparently about 20 analytics experts oversee their location selection process, assessing things like area traffic patterns and existing businesses to determine if a potential site will be a winner. And while they’ve certainly had some duds, they seem to be on point a lot more than they aren’t, as the data reveals. 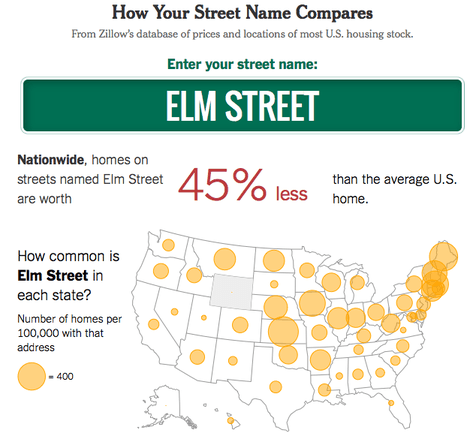 Zillow also claims that street names matter when it comes to property value. They came away with three main data points. One, that names tend to be better than numbers. So it’s perhaps better to live on Main St. than it is 1st St.
Street suffixes also matter. Supposedly it’s better to live on a lane rather than a street, as inconsequential as that may sound. Perhaps lane is more associated with a quaint neighborhood, while street might be akin to an older, urban area. Lastly, they claim that you should look for a home on a uniquely named street. Apparently homes on Main St. are worth the least, while homes on streets named “Lake” and “Sunset” are worth the most. Kind of makes sense if you think about it, as silly as it might be. Now you probably shouldn’t make a home purchase decision based on whether there’s a Starbucks around, or just because the street name sounds cool. But these little details could provide clues about the neighborhood and its potential for growth and real estate investment.